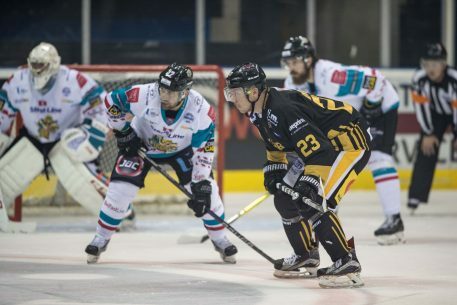 The Stena Line Belfast Giants lost out to the Nottingham Panthers 5-4 on Wednesday at the National Ice Centre. 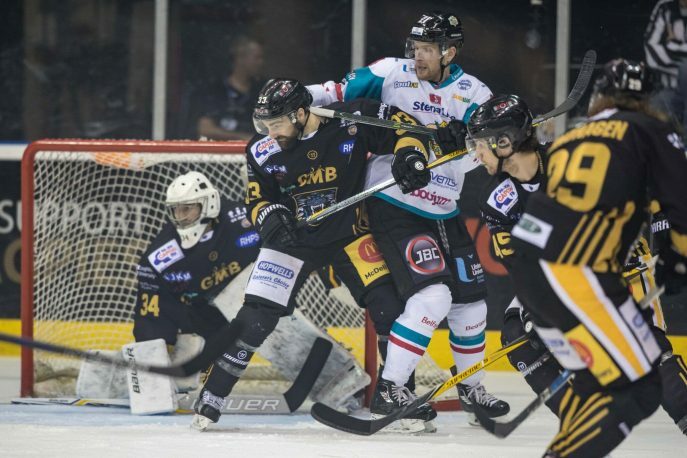 Missing Stephen Murphy, Dustin Johner, Cole Jarrett and Jim Vandermeer, the Giants twice fought back from two goals down only to eventually lose out for the first time in five games. 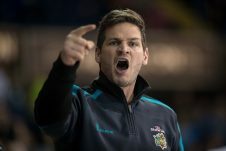 The Giants got off to the best possible start in Wednesday’s Elite League clash in Nottingham. Darcy Murphy scored after only 100 seconds, assisted by Matt Towe and the returning Jeff Mason. 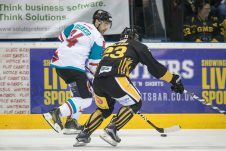 However the Giants lead was short loved as Robert Lachowicz equalised 42 seconds later, assisted by Bettering and Sauve. Evan Mosey gave the home side the lead for the first time in this game at 5:41 when he netted, assisted by Derlago and Phillips. 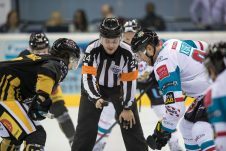 With Referee Hogarth sending Sylvestre and Goulakos to the penalty box, the Panthers took full advantage with David Clarke scoring on the resulting 5-on-3 powerplay at 10:19. 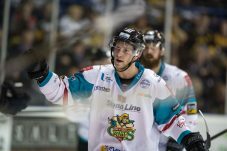 Clarke’s goal gave the home side an insurance goal with a two goal lead going into the middle period. 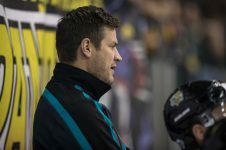 Adam Keefe called for the Giants to become ‘road warriors’ and his team responded during the middle period. First, Sebastien Sylvestre pulled the visitors to within one goal of the Panthers at 29:18, assisted by Jonathan Ferland and Brendan Connolly. 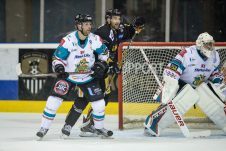 However the Panthers hit back through Raphael Bussieres on the powerplay at 33:04, assisted by Billingsley and Shalla. 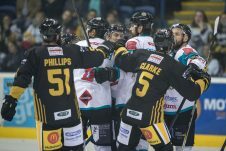 Colin Shields struck with a powerplay goal of his own for the Giants, assisted by Brendan Connolly and Spiro Goulakos, as the away side refused to lie down. Brendan Connolly turned from provider to scorer at 38:12 when his goal near the end of the second period tied the game at 4-4, assisted by Ryan Martinelli and Colin Shields. 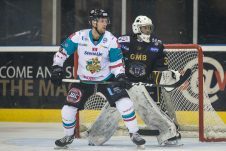 However it was to be the home side who would take a lead into the final period as Robert Farmer’s deflected shot ended up in the Giants net, assisted by Shalla and Perlini at 39:19. 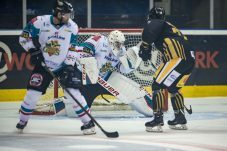 The Giants, playing their third game inside five days, went in search of another game tying goal, only to find Panthers goalie Michael Garnett in impressive form. The hosts closed out the game and took their first regulation win over the Giants since 28th March 2016.